If you’ve ever been unfortunate enough to lose someone, then you know the importance of giving a proper send off to your departed loved one. A reputable funeral home, the right flower arrangement and the presence of family and friends are the makings of a decent funeral service. Another integral part of laying a person to rest is the coffin. That’s why the coffin business is such a booming industry as loved ones only want the best for those who’ve passed away. There is no decline in demand for this as it is an undeniable fact that people pass away inevitably. If you plan to join the coffin industry, here are a few tips to successfully start a business. Find out what other coffin competitors are doing so you will have ideas and be able to develop your own strategy on how you will operate to be different. List how much and what you will need before your coffin business starts. Include rent, utilities, licensing, legal fees, inventory, staff, design, software, gas, and advertising in your game plan. There are many laws that affect a business. Review your state’s laws and regulations. To understand and abide by all of these laws, consult with a business lawyer. Develop a menu of coffins you can offer your clients. 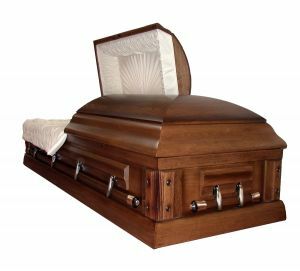 There are thousands of types of coffins available today so choose a specific type of coffin you’d like to focus on. Manufacturing coffins specially, custom made ones, need manpower. Hire the right number of people to help you with your coffin manufacturing. Develop awareness of customers and gain contacts by creating business cards, brochures, web sites as well as other marketing materials. Reach out to funeral homes and offer to supply them a number of coffins for a discounted price.